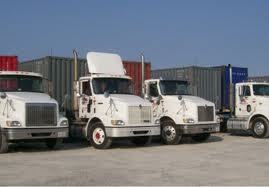 Neill Cartage and Warehouse / TRN Transportation has the experience to handle all your Chicago intermodal drayage needs. Neill has partnered with several local drayage companies to provide a competitive advantage. All parnters have interchange agreements with every major railroad and the premier steamship lines allowing our customers flexibility at a competitive rate. Some advantages of Neill handling your intermodal drayage. -Overweight Loads - Containers Weighing 45K-56K. TRN provides Overweight Permits in order to legally haul your overweight loads so that you can maximize your payload. -Access to 350,000 square feet of insured warehouse space. -State-of-the-art inventory control and tracking. -Product moved to warehouses, and /or customer location, on demand. -Direct shipping to your customers.